Hello, and welcome to the blog for The Artisan Shop. In this space, we will be discussing a wide variety of topics, all related to custom cabinetry, of course! In this first blog, we’ll talk about who we are and what we do. We hope this will give you a little insight into what makes The Artisan Shop unique! We are a full service design and manufacturing shop for high quality, handmade custom cabinets. We are proud to serve Colorado, with shops in Loveland and Boulder. Our team consists of the best modern cabinetry designers, artisans, engineers, quality controllers, installers, and more. We take pride in our award winning work! Simply put, we help make your dreams into reality! 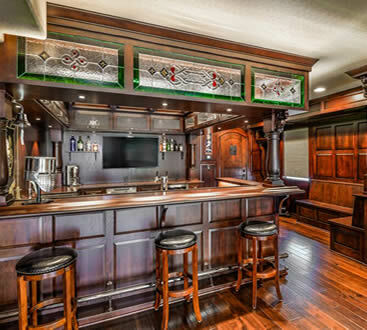 Our expert team can craft the best custom kitchen cabinets, bathroom cabinets, home entertainment centers, one-of-a-kind bars, wine cellars, and much more. We combine state of the art technology with the craftsmanship you can only get from the hands-on approach taken by true artisans. We are proud to adhere to strict sustainable building standards, making us a very green friendly option. We utilize our unused wood and sawdust for a variety of purposes so that as little as possible is wasted. Thank you for taking the time to visit our site, and for reading this blog post! We hope you’ll be back on a regular basis. Stay tuned to this space for regular updates. Are you ready to get started on planning the kitchen of your dreams? We can help! Contact us today and we can get started on our 12-step process for bringing your dreams to reality. We hope to hear from you soon!